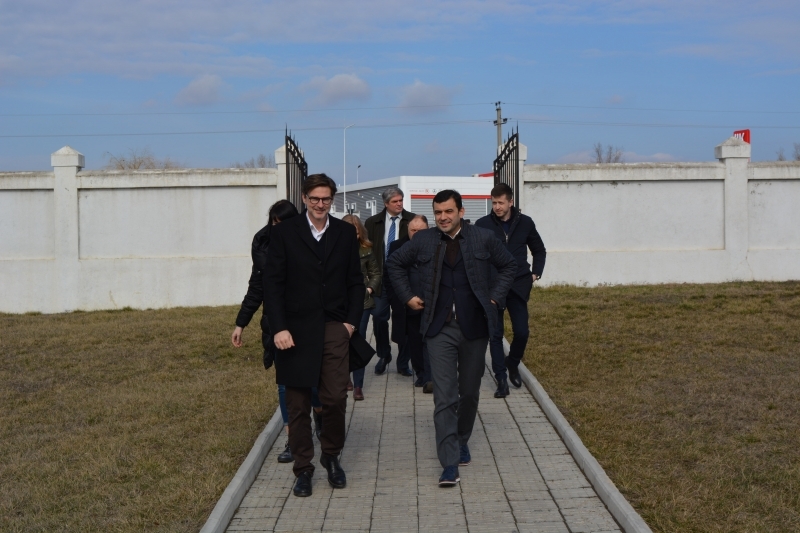 On Saturday, February 10 the Minister of Economy of Moldova, Chiril Gaburici paid an official visit to Giurgiulesti International Free Port (GIFP) where Thomas Moser, general director of Danube Logistics SRL conducted a short tour of the port and discussed challenges faced by GIFP in its development as one of the most important logistics hub in Moldova and the region. During the meeting newly appointed Minister of Economy, Chiril Gaburici stated that he will continue to lobby the implementation of the host agreement on Giurgiulesti International Free Port by government. Gaburici mentioned that the rehabilitation of the segment Ciumai-Vulcănești of the M3 Road will start soon and is expected to be refurbished within 2 years. As part of the short tour, the official delegation witnessed loading of corn to a maritime vessel, visited the container and general cargo terminal, mixed-gauge rail terminal, as well as the port’s business park.